Learn how to work with sacroiliac joint stability. Dysfunction at the sacroiliac can start a cycle of instability and body misalignment. Each session does include handouts and links for further reading. Sessions available for online viewing, or for download to your computer. For any questions, please e-mail cora@corawen.com. Sacro Iliac – What is it? Most people dont know where their sacroiliac joints are, yet more and more yogis know where it is because it hurts. Health practitoners consider the Sacroiliac joint to be the most common cause of lower back pain, and more prevalent than disc problems. If you ask yoga practitioners about their Sacrum, many will touch the top of their sacrum. And they know that part of their hip because it aches and has been troublesome in their yoga practice. The bones of the lower back include a very important stabiliser – the sacrum. The sacrum is a triangular bone at the bottom of the spine, tucked between hip bones. Controversy can strike within the yoga community about many ways of teaching, and one of the biggest debates is over the small, barely mobile, sacroiliac joint – to tuck or not tuck. It is a question that can heated, especially by long term practitioners who swear they know the right way. And new practitioners that will swear they have “healed” their pain by stretching more. It doesnt matter which side of the fence you are on in the tucking question, but we can all agree that Sacro iliac misalignment is PAINFUL! As I travel throughout the US and SE Asia to teach yoga, I see more and more yogis developing pain around their sacroiliac joints. I think we may be practicing without understanding what is causing the pain, and what might help to alleviate pain, and stabilise the joint. 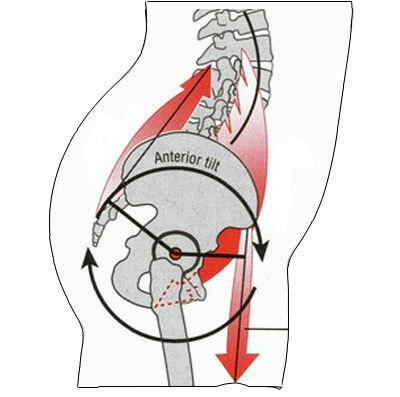 It is important to get sacroiliac pain diagnosed and treated because hip alignment affects the entire body. When one hip is weak, the pelvis twists – one hip moves forward and the other backwards, creating more hip dysfunction and irritation. You can have different areas of weak and tight muscles in torso, shoulders and legs which will affect sacroiliac joint problems. This will affect your personal yoga practice and yoga teachers have a great responsibility to avoid causing additional Sacroiliac problems in students. Sacroiliac dysfunction can be caused by injury, but also by muscle imbalances or differences between the left and right sides of the body. 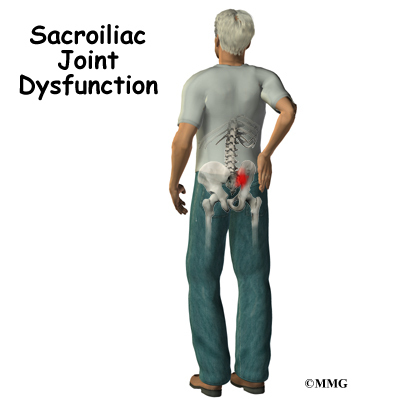 This type of sacroiliac dysfunction can be exacerbated and even caused by misaligned yoga poses. 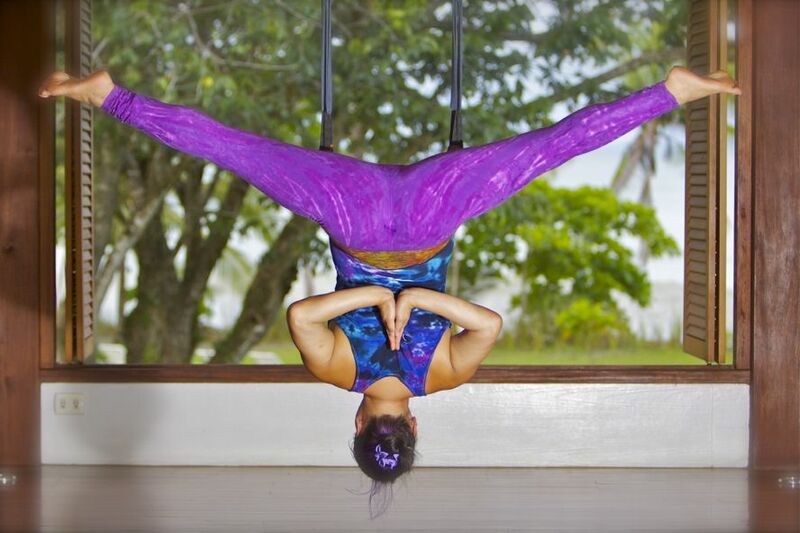 Asymmetrical poses like Trikonasana, Virabhadrasana 1 & 2 and Parsvakonasana and variations in backbending can exacerbate SI dysfunction if practiced without awareness of the pelvis and differences in individual bodies. The core-muscle stabilisers of the sacroiliac joint are the pelvic floor muscles, lower Transverse Abdominis and the Multifidis (deep stabilisers of the spine). Learn to stabilise in standing poses and backbending, so you can move limbs without clenching the hip muscles or shifting hipbones. This will help to stabilise your practice of sequences without irritating the sacroiliac joint.